Royale has a new contest! 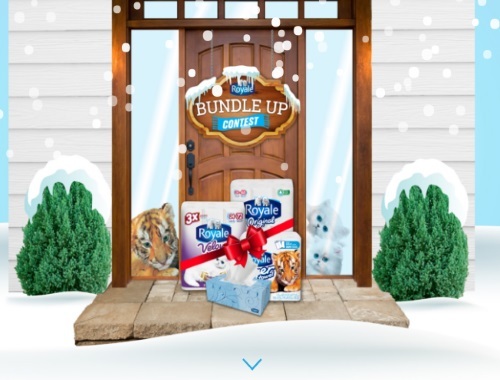 Enter their Bundle Up contest and you could win a $500 bundle of Royale! 10 prizes are available to be won, each consisting of 100 x $5.00 manufacturer’s coupons for any Royale products (each prize with an approx. retail value of $500.00 CAD). Upon entering the Contest for first time, entrants will receive one $4.00 Royale product coupon (print coupon). Contest closes March 13, 2018. Limit 1 entry per person, per day.